The IPS series are power inverter which use a pure sine wave to produce 230VAC mains from a 12V battery or 12V DC power supply. The inverter is over 90% efficient with high accuracy output waveform with less than 4% Total Harmonic Distortion (THD). It utilises a soft start on power up to minimise inverter shut down we supplying inductive loads. It has low voltage and over voltage input protection, short circuit and overload output protection. The unit is fitted with temperature controlled cooling fan and has LED and audible fault indication. It is perfect for use while camping or caravanning or as a means to convert charged batteries for back-up power in case of a power cut. This inverter is best suited for all your electronic appliances, TV sets, Sound Systems, CD and Media Players, Computers and Monitors. The pure sine wave inverter is most suited for inductive devices, fridges/freezers and motor driven appliances. Supplied with 2 pairs of 800mm DC power cables and a spare blade fuse. 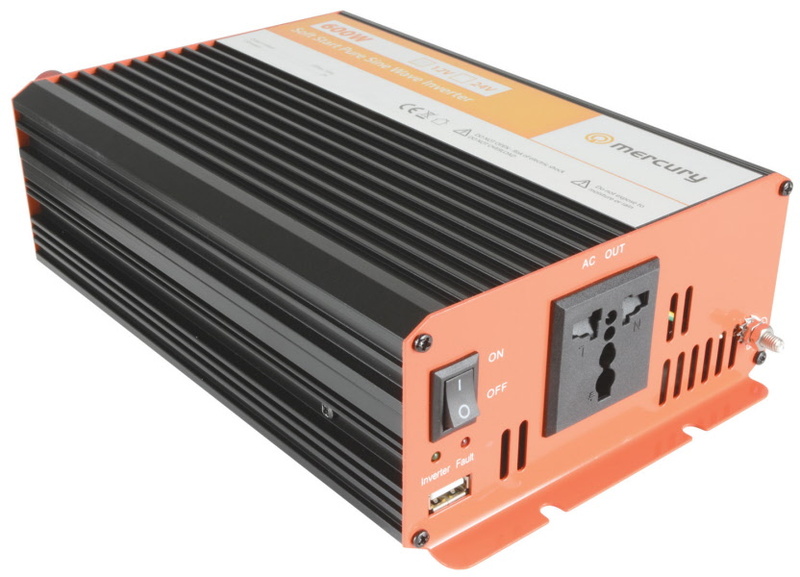 The IPS300-12 inverter requires a battery with a minimum capacity of 50Ah connected with 4.0mm² cables. Features a 5V 1A USB outlet and is supplied with 2 pairs of 800mm DC power cables and a spare blade fuse. 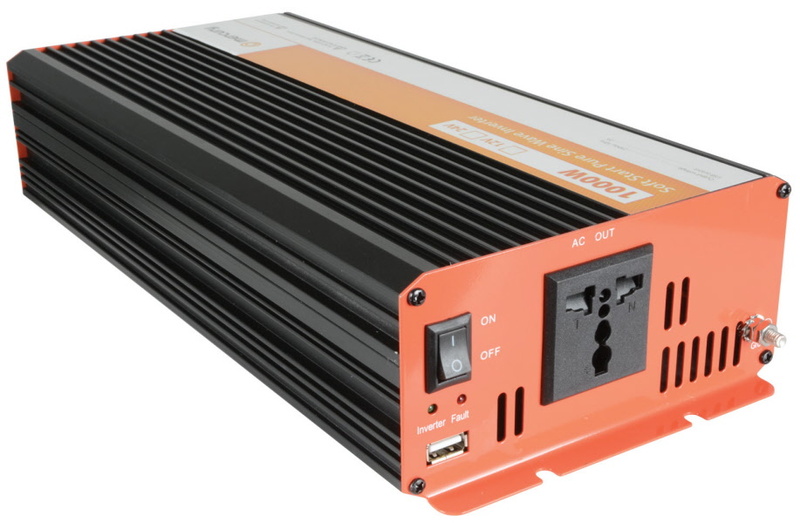 The IPS600-12 inverter requires a battery with a minimum capacity of 100Ah connected with 6.0mm² cables. Features a 5V 1A USB outlet and is supplied with 2 pairs of 800mm DC power cables and a spare blade fuse. 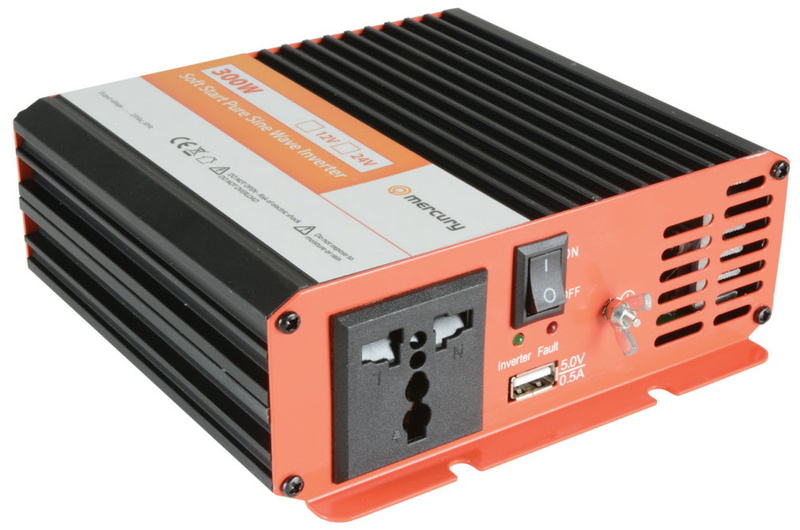 The IPS1000-12 inverter requires a battery with a minimum capacity of 160Ah connected with 10.0mm² cables.